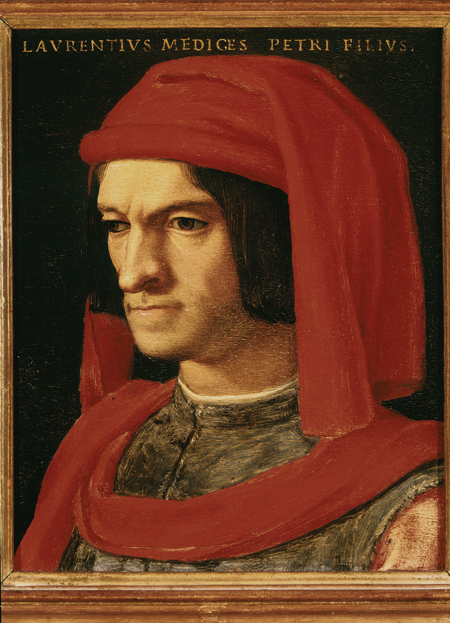 Lorenzo de’ Medici is the historical figure that best represents the Renaissance , or the dawning of awareness of the role of knowledge in all fields of human activity. Lorenzo was familiar with so many disciplines − military, literary and philosophical, as well as the figurative arts and music. His knowledge was, indeed, all-encompassing. Furthermore, few could equal him in the noble art of diplomacy, and his standing as a patron of the arts and of culture was of the first order . Renowned artists, such as Sandro Botticelli and Filippino Lippi, and leading men of letters, among whom Angelo Poliziano and Marsilio Ficino, found an intelligent, sensitive patron in Lorenzo − rightly praised as the ‘Magnifico’. 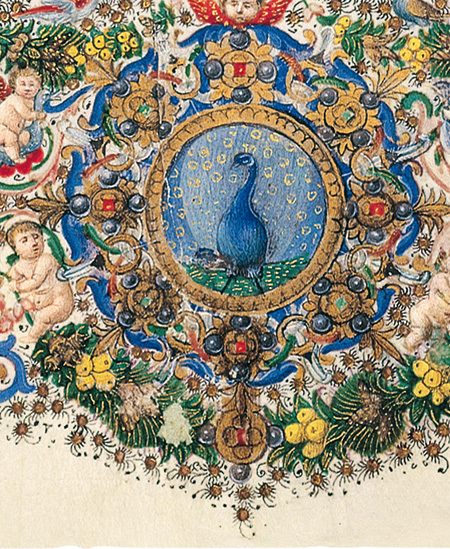 Lorenzo de’ Medici commissioned from leading Florentine illuminators three splendid Books of Hours as wedding gifts for his daughters . The first of these works − commissioned in about 1485, and now to be found in Monaco − he gave to Lucrezia , who married Jacopo Salviati. The second, now at the Biblioteca Medicea Laurenziana library, was for Luisa , the betrothed of Giovanni di Pierfrancesco de’ Medici (she died before the day of the wedding). The third was a wedding gift for Maddalena , the bride of Count Franceschetto Cybo, the illegitimate son of Pope Innocent VIII. 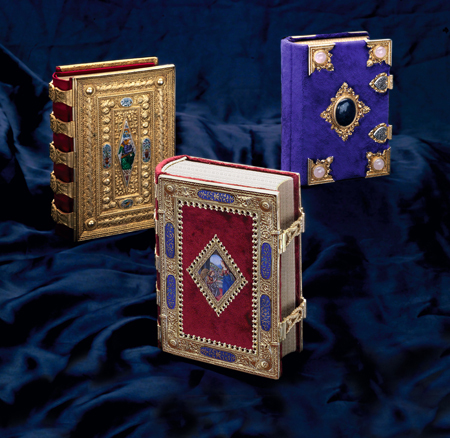 These three Offizioli (or breviaries) are a touching tribute from a loving father − one of the most powerful men of the period of the Renaissance − to his three very young daughters. Historians believe Maddalena de’ Medici, born in Florence on 25 July 1473, was Lorenzo il Magnifico’s favourite daughter. Her marriage to Franceschetto Cybo , the son of Pope Innocent VIII, was a vitally important development for this noble Florentine house. Lorenzo’s prestige grew and, furthermore, he was able to better cultivate his relations with the Pope. This marriage also paved the way for his second son, Giovanni, who was to assume the papal office as Leo X. Maddalena received this work, a small exquisitely adorned and bound book of prayers − now a part of the Rothschild collection at Waddesdon Manor in England − as a wedding gift. Of the codices commissioned for his daughters, this work was the finest and most richly adorned. The original binding went missing hundreds of years ago. Franco Cosimo Panini Editore therefore conducted in-depth historical and philological research to do the impossible: painstakingly reconstruct the binding as it was, down to the very last detail! 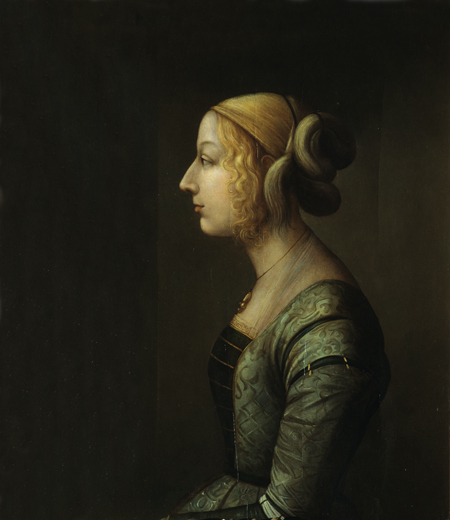 An extraordinary tribute to Maddalena de’ Medici has thus been revived. 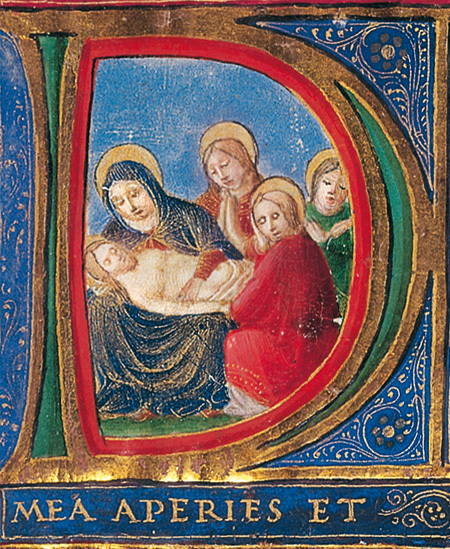 The Rothschild Medici Book of Hours contains twenty-seven illuminations. We find the twelve pages of the Calendar , included in accordance with a tradition which spread to Italy and originated north of the Alps . Picturesque scenes illustrate the labours of the months of the year. The seven delightfully adorned frontispiece pages present us with a blaze of joyful colours , and the other eight pages feature large illuminated initials. The peacock , a symbol of the House of Cybo, is a recurring motif. We may also note the laurel branch and diamond ring. These are clearly Medici devices . The illustrations were provided by a number of artists, including, most notably, a great Florentine illuminator, Mariano del Buono .